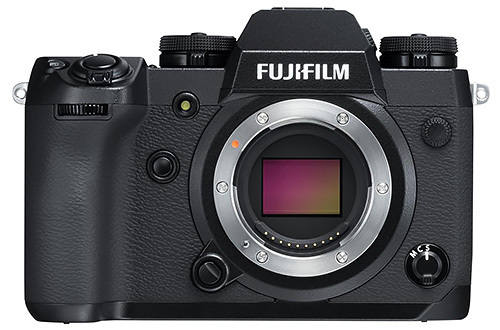 Fujifilm has announced the Fujifilm X-H1 featuring a 24.3-megapixel APS-C X-Trans CMOS III sensor matched to a X-Processor Pro image processing engine. The company said the new X-H1 is the highest performance camera in the X Series line of mirrorless cameras and the first to feature in-body image stabilization, a new Flicker Reduction mode that allows for stable exposure under fluorescent and mercury lighting, DCI 4K and other video capabilities. 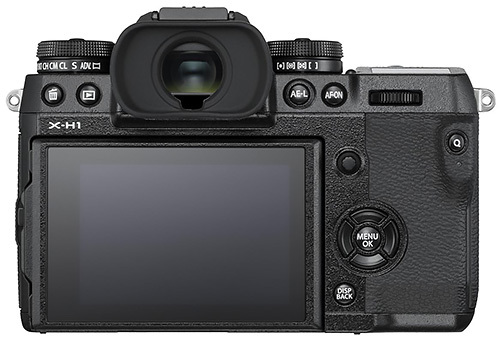 "The new X-H1 is our first X Series model to feature in-body image stabilization and we are very excited to introduce this camera to the market," said Yuji Igarashi, general manager of the Electronic Imaging Division and Optical Devices Division at Fujifilm North America Corp. "In addition to ensuring outstanding image quality, the X-H1 is fully equipped with an array of features and functionality specifically designed to enhance creative expression in a wide range of settings." Fujifilm said the X-H1 will be available on March 1 for $1,899.95 (body only) and for $2,199.95 with the vertical power booster grip kit. Adorama and B&H are both now accepting pre-orders. VALHALLA, N.Y. -- As a leader in advanced digital camera technology and outstanding image quality, Fujifilm North America Corp. is excited to announce the new Fujifilm X-H1, featuring a 24.3-megapixel APS-C sized X-Trans CMOS III sensor and X-Processor Pro image processing engine for outstanding image quality. The new X-H1 is the highest performance camera in the X Series line of mirrorless cameras and the first to feature in-body image stabilization, a new Flicker Reduction mode that allows for stable exposure under fluorescent and mercury lighting, DCI 4K and other impressive video capabilities. "The new X-H1 is our first X Series model to feature in-body image stabilization and we are very excited to introduce this camera to the market," said Yuji Igarashi, General Manager of the Electronic Imaging Division & Optical Devices Division at Fujifilm North America Corp. "In addition to ensuring outstanding image quality, the X-H1 is fully equipped with an array of features and functionality specifically designed to enhance creative expression in a wide range of settings." The X-H1 boasts a newly designed, robust and durable body and a range of features that support shooting in various situations by professional and experienced amateur photographers and videographers. When used in combination with Fujinon lenses and Fujifilm's signature color reproduction technology, the X-H1 produces outstanding image quality and video reproduction. The new X-H1 is the first X Series camera to feature in-body image stabilization, harnessing three axial accelerometers, three axial Gyro sensors and a specially-developed dual-processor to achieve approximately 10,000 calculations per second. When combined with compensating mechanisms, the X-H1 produces uncompromised image quality and precision. 5-axis image stabilization is possible with all XF and XC lenses, with certain lenses capable of up to a maximum of 5.5 stops. In addition, a new spring mechanism has been added to reduce micro-vibrations caused by operation of the mechanical shutter. Photographers may also choose to use the electronic front curtain shutter or the electronic shutter, virtually eliminating the effect of vibrations to maximize the benefits of image stabilization. In addition to its dust and water-resistant properties and ability to operate in temperatures as low as 14[! ]deg;F \ -10[! ]deg;C, the X-H1 also features 25 percent thicker magnesium alloy than the X-T2. The camera also features a high quality, scratch-resistant coating and a compact, lightweight body that maintains high precision and strong resistance to impact shock torsion and other sources of deformation. The new X-H1 features a high-magnification and high-precision electronic viewfinder with a magnification ratio of 0.75 times and 3.69 million dot resolution, leading the class for APS-C mirrorless cameras. The viewfinder display is extraordinarily smooth, with a display time lag of just 05 seconds and a frame rate of 100 frames per second, allowing the user to instantly confirm the movement of the subject and position the focus with great precision. The X-H1 also features a 3-direction tilt, 3.0-inch, 1.04 million dot electrostatic touch-panel LCD, which can be intuitively set to the desired angle. In addition, the 1.28 inch sub-LCD on the top of the camera, which emulates the design of the mirrorless medium format GFX 50S, allows for instant confirmation of shooting information. 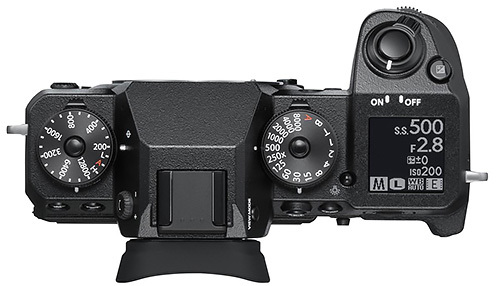 The X-H1 incorporates additional improvements based on feedback from professional photographers, including a large grip design, leaf-spring switch for the shutter-release button, near-silent shutter sound, a new focus level and a new AF-ON button and enlargements of buttons on the rear of the camera. The X-H1 is the first camera in the X Series to include ETERNA, a new film simulation mode that is ideal for shooting movies. This mode simulates cinematic film, creating understated colors and rich shadow tones, greatly enhancing creative freedom during post-processing. The X-H1 boasts many functional and performance improvements to video image quality, including the 1080/120P high-speed video mode (1/2, 1/4 and 1/5 speed slow motion) for recording spectacular slow-motion footage; F-log SD card recording which aids smooth workflow; a DCI 4K shooting mode (4096[! ]2160); a 400 percent dynamic range setting (approximately 12 stops); 200 Mbps high bit rate recording; a high-sound quality internal microphone (24 bit/48 kHz); and verbal time codes. The X-H1 features a flicker reduction mode, allowing for stable exposure during burst shots even under fluorescent and mercury lighting. In addition, improvements to the autofocus algorithm have achieved a number of performance enhancements. Low-light limit for phase detection AF has been improved by approximately 1.5 stops -- from 0.5EV to -1.0EV -- raising the precision and speed of AF in low-light environments. The minimum aperture has been expanded from f8 to f11 and major improvements have been made to the AF-C performance while operating in zoom, making the X-H1 ideal for shooting rapidly moving subjects. The Vertical Power Booster Grip (VPB-XH1) is a weather-resistant grip capable of operating at temperatures as low as 14[!]deg;F/-10[! ]deg;C that fits two additional batteries to increase maximum number of shots to 900 (in normal mode) and increases the maximum period for shooting movies in 4K to about 30 minutes. The Vertical Power Booster Grip features a shutter release button, focus lever, AE-L button, AF-ON button, command dial, Q button and Fn button, providing the same ease of operation when using the camera in vertical or horizontal positions. The grip is equipped with a headphone socket to allow monitoring sound while recording and includes recharging capability. The Wide Eyecup EC-XH W covers a broad area around the eye, greatly reducing light interference to enhance concentration during long shoots. The eyecup can be rotated in 90[! ]deg; increments, making it adaptable for either eye and for shooting either vertically or horizontally.